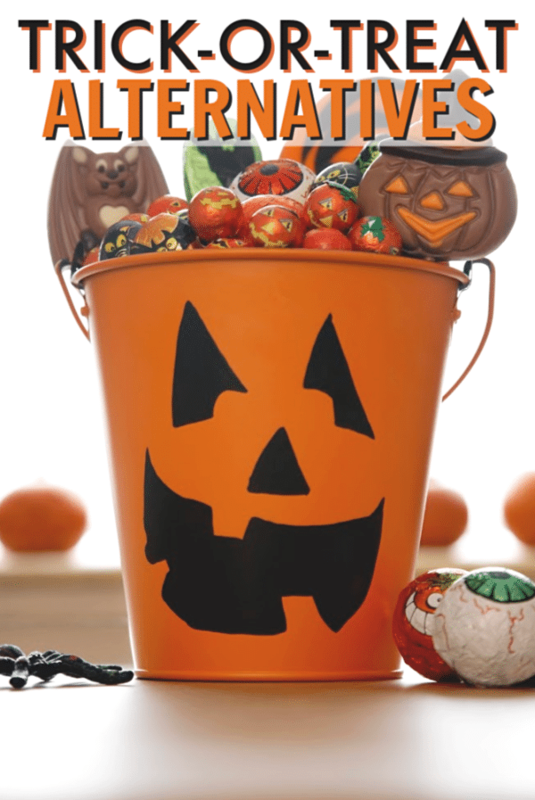 Are you looking for trick-or-treat alternatives for your children? If so, you’re in the right place! Though I have many happy Halloween memories, my husband isn’t fond of Halloween. He doesn’t like the idea of sending our kids out to beg for sugary treats from strangers. When so many people celebrate a holiday though, it’s hard to deny your child the fun all of his peers are enjoying. But there are plenty of fun ways to enjoy Halloween besides trick-or-treating! 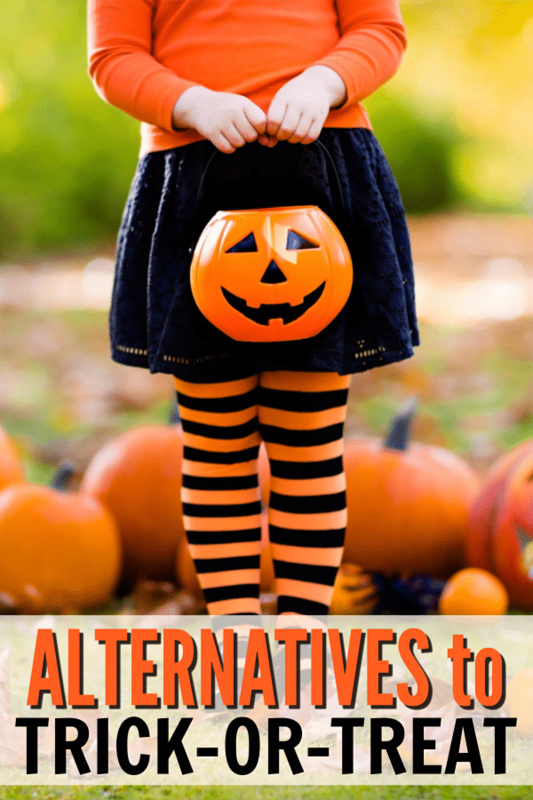 Whether you’re trying to avoid cold weather, you practice a religion that does not recognize Halloween or you simply want to keep your children safe from running around outside after dark, there are many choices besides going door to door. Here are some great trick-or-treat alternatives. Check with your local parks and recreation to see if they have anything special planned for Halloween. Many communities plan fun Halloween events for local residents. These usually include dancing, games with prizes and sometimes even an easy dinner of hot dogs, hamburgers or pizza. Kids get to dress up and have a blast without wandering around in the dark to strangers’ houses. Many public libraries and retail bookstores will host a Halloween-themed story time. These events usually involve kids activities and crafts, along with treats for the children. Many elementary schools and churches will plan events around Halloween. Trunk-or-treat is common in our area. The kids still get to trick-or-treat but they only have to walk a few feet from car to car. Plus, the people handing out the treats aren’t strangers, they’re all people we recognize from school or church. Fall festivals are also common at local schools and churches. These are fun events with plenty of food, games, and entertainment but minus ghosts, monsters, and spiders. Check with farms and pumpkin patches in your area. Some host Halloween-themed events, while others have non-spooky Fall-themed events. At our local pumpkin patch, the kids enjoy painting pumpkins, a corn maze, hayrides, and campfire s’mores. Not a single scary monster in sight! If you don’t have an issue with Halloween, but just aren’t a fan of trick-or-treating, consider throwing a Halloween party. Your child will enjoy a memorable Halloween night without having to leave home! See? There are lots of trick-or-treat alternatives that are just as (perhaps even more) fun! No matter how you and your children celebrate the Halloween season, be sure to make it a fun experience and you will find that everyone can enjoy their time together.